Must Have of the Day: Flowers and bows, Little Darlings are truly unique! 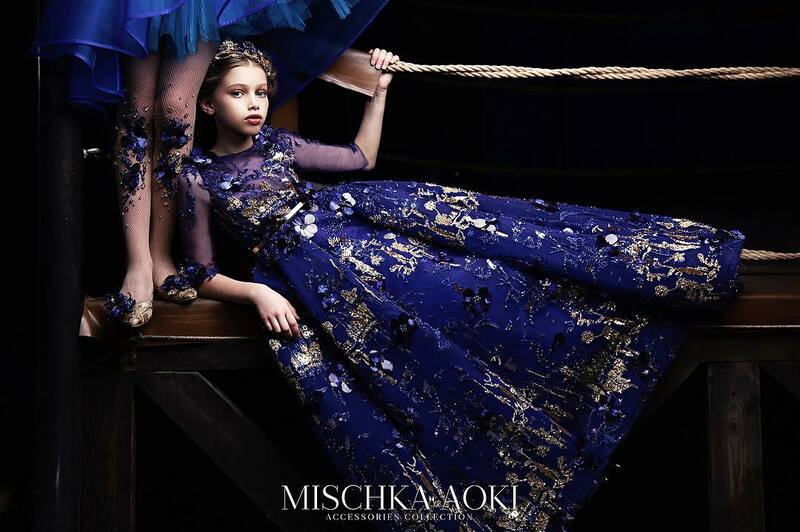 From exquisitely crafted occasionwear, to casual pieces finished with bold stripes, flowers and bows, Little Darlings are truly unique! 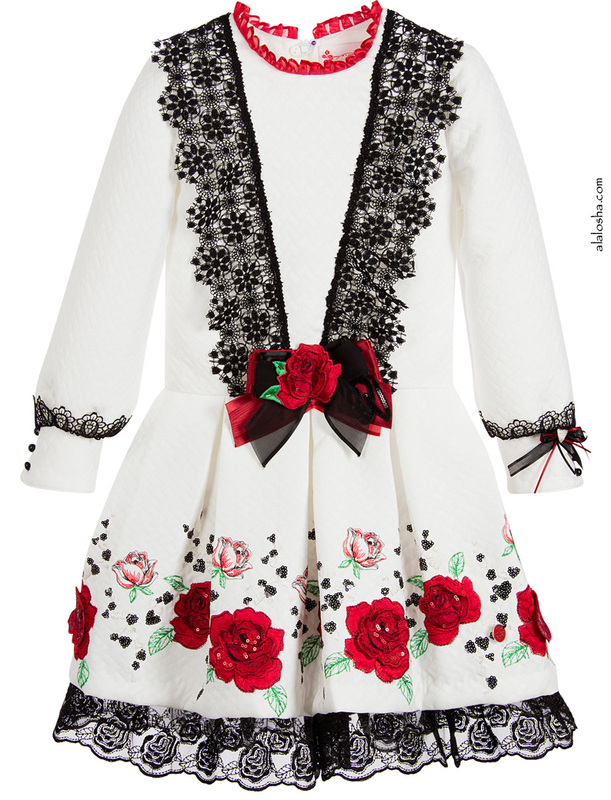 Girls ivory dress with embroidered rose appliqués, black lace and sparkly sequins, from Little Darlings. 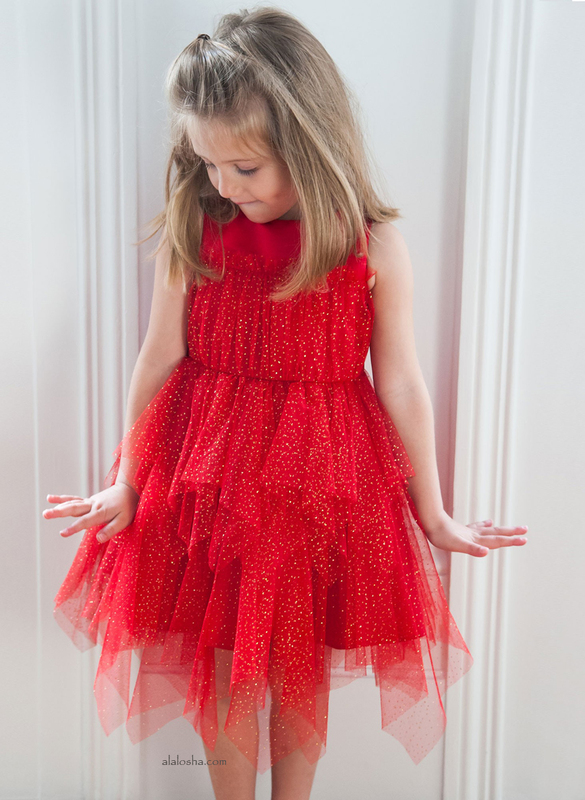 The dress is made in a delicately quilted effect, cotton blend fabric, and is fully lined. It has a pleated red organza trimmed neckline. The bodice features black lace frills on the front, and is fastened with a concealed zip at the back. The sleeves are gathered into buttoned cuffs with matching black lace and one has an organza bow. 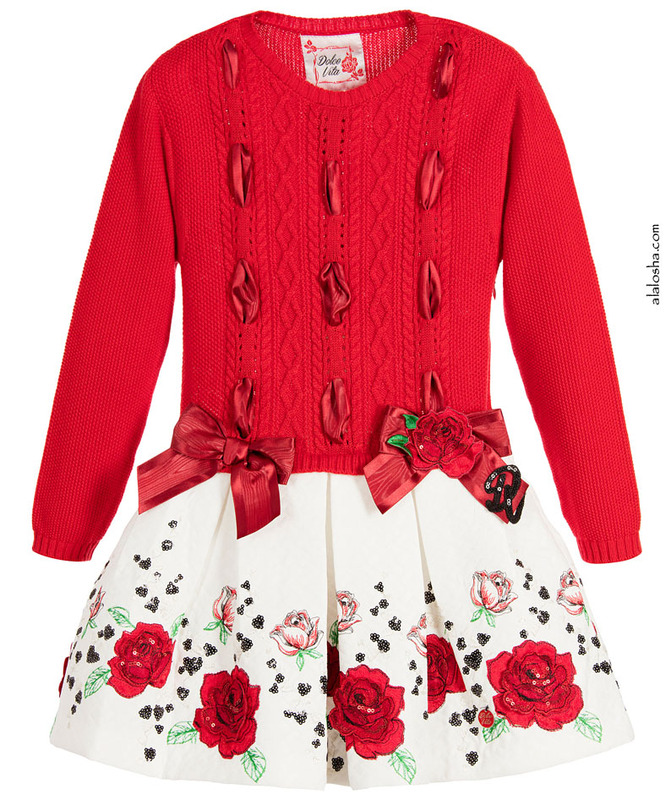 The front of the dress features a larger, rose appliqué bow. The skirt of this dress is box pleated, and is embellished with the stunning rose appliqué design. It is finished with a black organza trimmed petticoat, that falls just below the hemline. 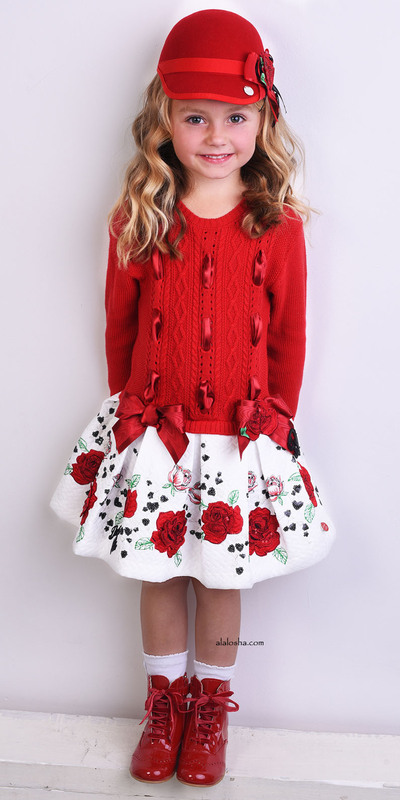 Girls red and white knitted dress by Little Darlings. From the Dolce Vita collection, the top half is woven in cotton, threaded with ribbons and decorated with bows at the hem. The attached skirt is made in a white jacquard and is pleated, with embroidered roses and sequins. The skirt is lined in cotton, with a tulle net petticoat which adds fullness. 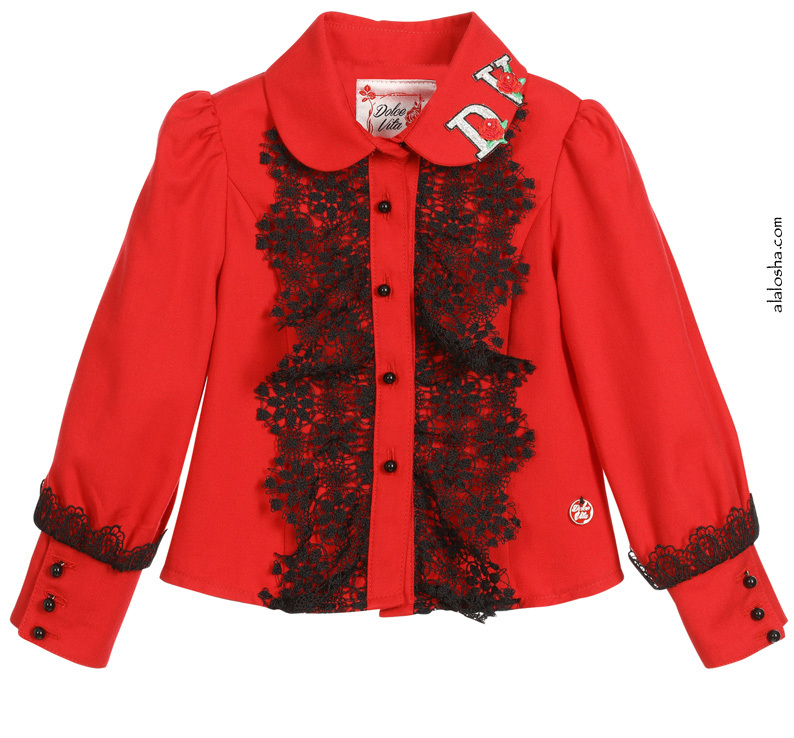 Girls lovely red blouse by Little Darlings, in their 'Dolce Vita' theme, with a charm sewn by the hem. Made in a woven cotton blend, it is trimmed in ruffled, black lace. It features sparkly, 'D' and 'V' appliqués on the collar and has shiny black bead buttons down the front and on the long cuffs.